The Capri Laundry Hamper folds up flat but it’s neutral, stone coloured fabric body means that it blends in well with any setting. 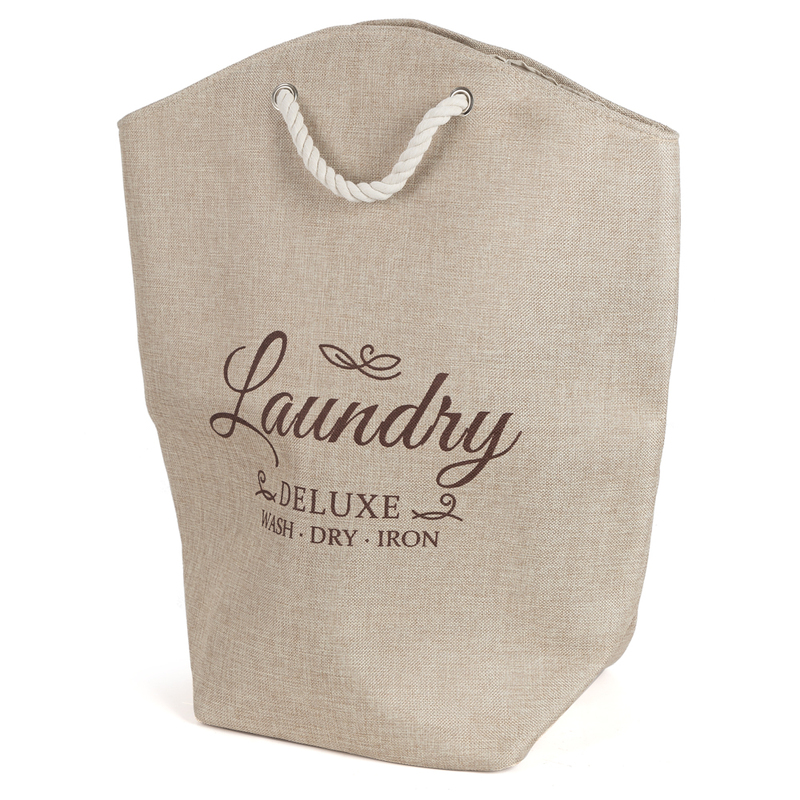 It has a retro feel with the words` Laundry Deluxe, Wash. Dry and Iron' printed on the outside. There’s also two smart rope handles so you can carry it straight from your home to the laundry and dry cleaner. It’s also great to take on weekends away. Easily portable with rope handles. Dimensions: 52cm (l) x 60cm (h).